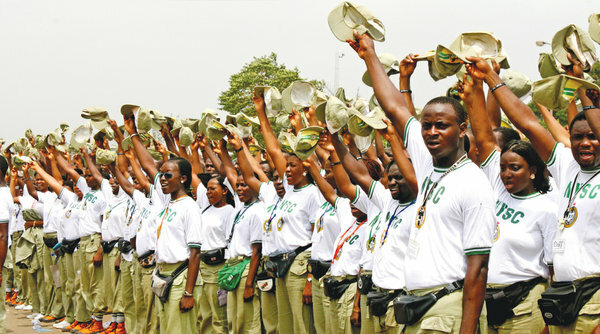 Following the initial postponement of the elections from February 16th, by INEC (Independent National Electoral Commission), pictures of youth corpers who were designated ad hoc staffs for the voting exercise in less-than-ideal conditions flooded the internet. Shrugging off the shameful circumstances of the previous week, many returned the following week to assist the country in choosing its leaders. The NATIVE spoke to fifteen of them across Nigeria, below is a collection of their experiences. On the day of the first election postponement, what was your experience? None of us had any information about what was going to happen that day, so we just went to the classroom allocated to us. Some of us had had experiences with elections, so we expected INEC officials to show around midnight or 1 am, but no one showed, and we heard the news via group chats. But the place I was, it was very peaceful, especially in comparison to others who had terrible stories. The next morning when we had to leave, it was difficult to get transportation because there was supposed to be zero movements. Some of us had to trek really long distances. I was a bit scared because the hall we were kept at wasn’t fenced, anyone or anything could’ve come at us easily. A couple of those who stay in that community heard elections had been moved, so some offered to let us sleep in their compounds. I mean, we were all scared initially, but we accepted and we moved together in groups of about seven to about 5 locations, all close to each other. See, it was hectic. The place we were staying was sort of attacked. A couple of people had their phones taken, some got slapped around, and those of us who experienced neither were very very few. No security personnel in sight, the INEC people had left, so we had to defend ourselves until some other indigenes came into intercede with those who were attacking us. After the first postponement, why did you go back for the refixed date? I didn’t want to at first, but since I’d started, for me to have already gone through all that stuff, I just figured I’d finish it up. I was sure there wasn’t going to be another postponement, and since my place of assignment was calm in the previous weekend, I felt a bit secure. I was still not sure initially, but about an hour after we got there, police officers came to join us. How was voter turnout at your assigned polling unit? Out of like 500 people that were registered, below 150 people came out, they were not much. It was quite scanty at my own side. We had about 600 registered voters, only about 90-something of those came out. I’d say more than half of those who registered showed up, voting didn’t finish until around past 4 pm. But it was quite dishonest, ‘cos we got some voters who were clearly underaged but when we tried stopping them, the police people around us told to let them be. Apart from that, everything was smooth. If there was any conflict, how was it handled at your polling unit? At my unit, the turnout was actually a lot initially. But then, these touts came to cause trouble, and some people left and didn’t bother coming back. About 500 people were under my unit, and just 92 were accredited, and it could have been more than that. As at past noon, my unit was empty. There was a policeman initially, but we couldn’t find him when there was an issue, we had to be street smart. It was peaceful until closing hours. It got to an extent, after 2pm—because after 2 pm we were told to stop voting—some people were trying to barge in and vote, and it led to a minor conflict. Thankfully, we were in a hall that we could lock, so we allowed some people to come in and vote while security personnel quelled the situation outside. We had to leave in a police vehicle. Will you participate during the second round of gubernatorial elections in two weeks? I’m still thinking about it, honestly. Just the presidential election is causing all this conflict and violence, the gubernatorial might be even worse. Most of the neighbours who stay here are advising me not to go for it, because they don’t see how there would be no violence. Right now, I heard they are making it somewhat compulsory, but I’m not sure at that.